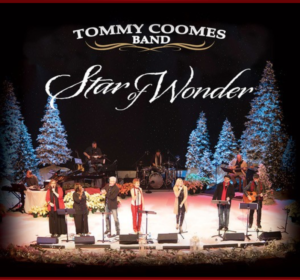 The Tommy Coomes Band is a team of 12 professional artists, songwriters, arrangers and producers formed to facilitate new forms of worship and evangelism. They have recorded 15 CD’s on Maranatha! Music, Integrity Music and their own label, and have ministered in over 28 countries on 6 continents with Billy Graham, Franklin Graham, Promise Keepers, Chosen Women, and Greg Laurie’s Harvest Crusades. It is going to be a fun and festive evening full of your favorite melodies, delicious Peet’s coffee, mouth-watering baked goods and lots and lots of holiday cheer. Bring a friend and come kick off this wonderful season at The Upper Room with The Tommy Coomes Band! Copyright 2014 Tommy Coomes Band | All Rights Reserved.